The Stark family has regained its ancestral home, Winterfell, with Sansa (Sophie Turner) in charge in Jon's absence, aided by her sister-turned-faceless-assassin Arya (Maisie Williams). Their only surviving brother, Bran (Isaac Hempstead Wright), is now a powerful seer called the Three-Eyed Raven, although his exact role in the end game is still unclear. (He spends most of his time looking dreamily solemn and occasionally makes portentous observations.) 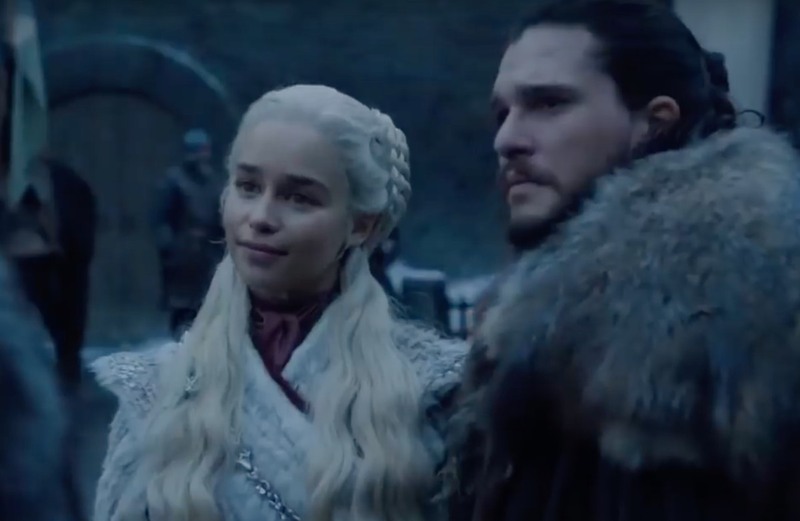 We know from earlier teasers that Dany and Jon come to Winterfell, and Sansa reluctantly cedes Winterfell to her, since Jon had “bent the knee” and declared his loyalty to the Mother of Dragons. Tyrion Lannister, the Queen's Hand, ponders his next move. Why, there's Jorah Mormont, preparing to do his part. Is that Gendry? We haven't seen him since, what, season 2? Game of Thrones has always had its share of placeholder episodes, where things advance incrementally and very little of major import happens. Such episodes serve a purpose in the overall narrative arc, setting up the relationships and conflicts—and just moving people from place to place—that make the big set pieces all the more powerful. This isn't quite one of them, since rather a lot happens in an episode that clocks in just under an hour. But the big fireworks are still to come with the upcoming Battle of Winterfell, rumored to be the most massive staged battle sequence of the series. We should expect to see at least some of the fan favorites fall, and fairly early in this final season. So taking the time to relish some bittersweet reunions before all hell breaks loose seems like a fitting opening salvo.